"Lasvit's new lighting collections ""combine craftsmanship with advanced technology"
Milan 2014: designers including Maarten Baas, Arik Levy and Maxim Velčovský introduce their new pieces for Lasvit in this movie filmed at the Czech lighting company's Emotions show in Milan earlier this week. Lasvit launched nine new collections at its Emotions show in Milan, including designs by a host of international designers as well as a series of kinetic sculptures by the company's in-house team. 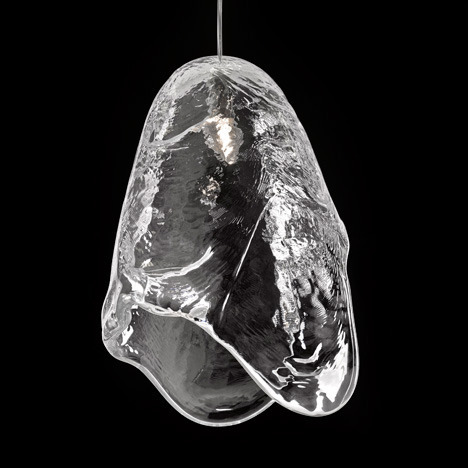 Czech designer Maxim Velčovský, who is also the company's art director, created a series of hanging glass lamps called Frozen, which are created by pouring molten glass over a dome-shaped mould and left to cool. 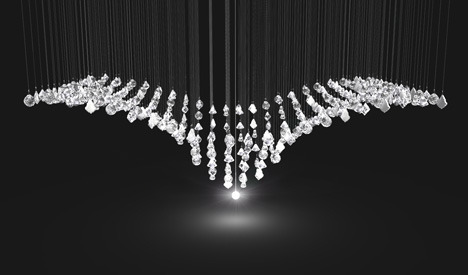 "I was very much inspired by nature, when water becomes ice," he says of the lamps, which are displayed in a cluster with drops of water running down them. "People are not sure whether they are looking at ice or glass, so they they knock on the lamp trying to figure it out." 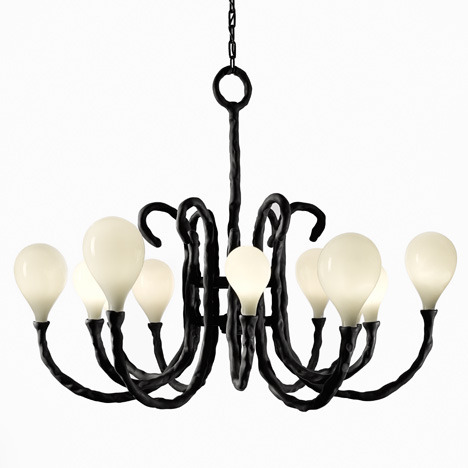 Dutch designer Maarten Baas created a modular chandelier called Das Pop using his signature Clay method in which a synthetic clay is moulded around a metal frame. 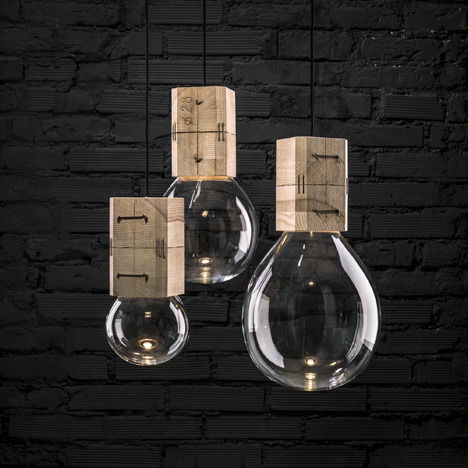 "It's made all by hand and with Lasvit's craftsman we also made hand-blown lightbulbs," he explains. "Das Pop is one of my favourite Belgian bands, which is where the name comes from." 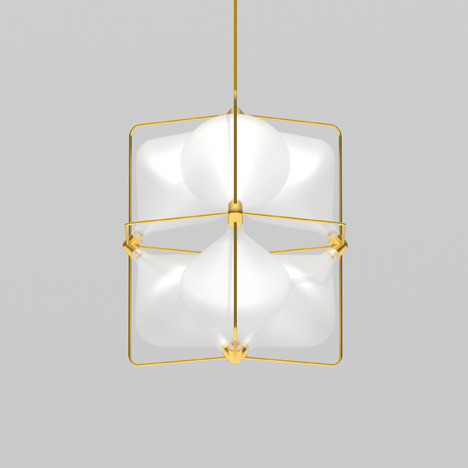 Arik Levy designed a series of simple crystal-shaped pendants, which are available in a variety of different colours and opacities. "We get reflections off the facets, even when the light is off," he says. "When it's on and when it's off it always stays beautiful." 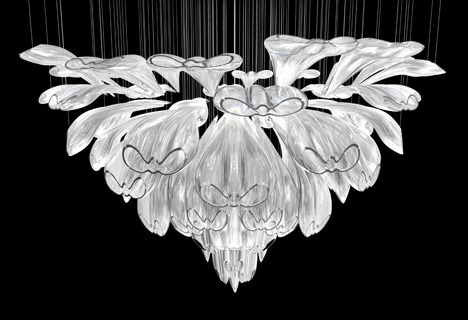 The show also features the first glass chandelier by Daniel Libeskind. 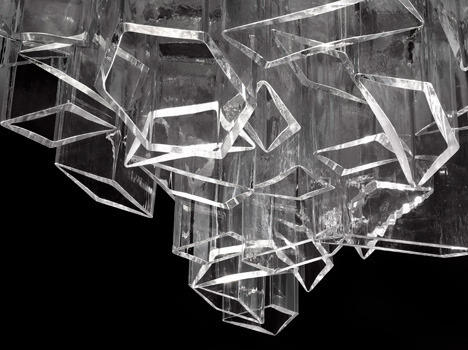 Called Ice, the piece is made up of clear glass cells blown into angular moulds, creating sharp, icicle-like forms. "When you blow crystal, it's typically bubbly and round," says the American architect's son, Lev Libeskind. "Our language has always been more angular and sharp. So we said, "What would happen if we took our sharpness and impose it on the glass?" The result provides a really interesting counterpoint between material and form." Lasvit's Emotions show also features two moving glass sculptures, including a hanging lotus flower designed by Petra Krausová, which opens and closes in time to music and is controlled by an iPhone app. 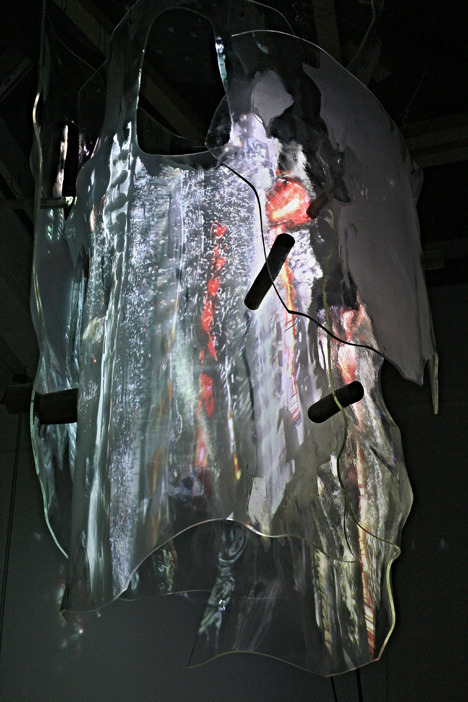 Visual artist Jakub Nepraš also created a sculpture made from shards of glass shaped like a tree, onto which a series of digital images are projected. "There is craftsmanship, there is poetry behind each collection and this year there is also a lot of technology on show," explains Lasvit founder and president Leon Jakimič. 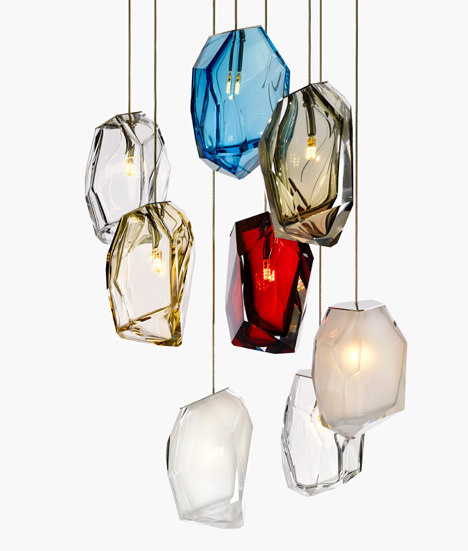 "I believe we are the first company to combine glass art with really advanced technology." Lasvit's Emotions show, which also features designs by Michael Young and Czech designers Jan Plechac and Henry Wielgus, is at Office Stendhal on Via Stendhal in Milan and is open from 10am to 8pm until 13 April.